Throughout his career Noah has represented workers and their unions. 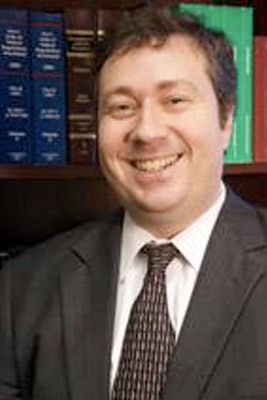 His practice has encompassed all aspects of labor law, both private and public sector. Noah has assisted unions in organizing campaigns and strikes, bargained contracts, advocated at arbitrations, and represented unions and workers in unfair labor practice hearings. In addition he has represented unions in cases arising under the Labor-Management Reporting and Disclosure Act. Noah has also represented individual employees in negotiating severance agreements, reviewing non-compete and confidentiality agreements, and pursuing claims for unpaid wages. He has appeared in cases before the National Labor Relations Board, the Florida Public Employees Relations Commission, the federal Seventh and Eleventh Circuit Courts of Appeal, the Southern and Middle Districts of Florida, and the Northern and Middle Districts of Illinois. Successfully challenged on behalf of firefighters’ union Florida’s “financial urgency” law as a violation of the state constitution’s right to collectively bargain. Compelled public utility to arbitrate disputes over denials of access to nuclear power plant workers and prevailed at arbitration, getting employee reinstated to his former position at the plant. Prevailed in litigation to compel air cargo carrier to arbitrate disputes that arose at foreign bases despite its claims that the Railway Labor Act did not apply to foreign operations. Obtained emergency “reverse Boys Market” injunction to stop employer from closing plant and moving operations prior to exhausting the grievance arbitration process.